Eight or nine or years ago a few 'book' people predicted the eventual demise of traditional books. They expected in a few short years that everyone would do all their reading on an eReader or a computer. No one would be buying paper books. During a few years from 2008 onward, it seemed it might actually come true. With the introduction of such devices as the Kindle and the Nook, ebook sales shot upward but not quite to infinity and beyond. Those sales did cut into the sales of physical books but they didn't push them into extinction. Predictions now are that they probably never will. Like many authors in today's world, I sell many more ebooks than I do print books. My publishers pay me a higher percentage of the profits for ebooks also since their overhead is less. I'm glad ebooks are having their time in the sun. But as a long time lover of books, I'm also thrilled that traditional book formats are still among us. According to this 2013 report from BEA and shared in Publisher's Weekly, traditional books and ebooks can coexist but what share of the market each will share is still and evolving numbers game. I still like having book signings and spend many hours in bookstores shopping, but how long will that last? I'm amongst the group of readers who still enjoy some paper books but also do lots of digital reading. My children in college have classes and textbooks online. My one son, a voracious reader, does most of his reading on his Kindle. As the generations who grew up reading traditional books ages and slowly disappear, will books become all digital? Will that pleasant, slightly dusty scent of paper books be gone forever? Do you think the ebook versus traditional book competition has evened out? Are any members of your family in school and using digital textbooks? Do you still feel the same away about ebooks as you did a few years ago? Please check out my latest ebook release, The Marine's Heiress, now available at a very reasonable price from New Concepts Publishing. It's formatted for any digital device. Susan Gourley writes romance as Susan Kelley. You can find her at her blog, Susan Says. This is my sled. Sure, it's a holiday decoration *now*. When I was a kid, it was my ticket to ride. To fly. 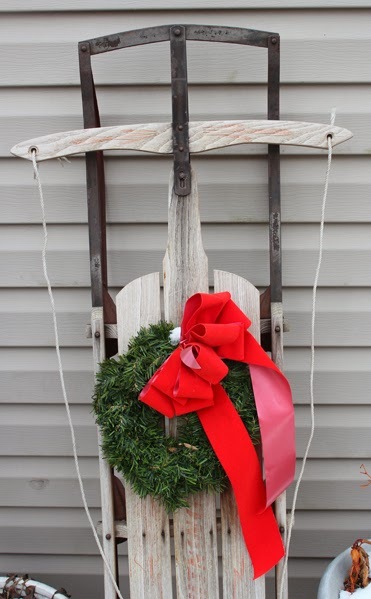 My sisters and brothers and I would drag our sleds about a quarter mile from our house to sled down a steep hill. Mini-mountain might better describe it. Sometimes at the bottom, we'd build a snow ramp so we'd catch some air (though we didn't call it that in those days, the term wouldn't be invented for decades to come). We'd sled for HOURS. Pull the sled uphill, legs burning, until we reached the top. Take a moment to survey the slope, then position ourselves on the sled and *whoosh*. Down in much less time than it took to climb that hill. But we kept doing it over and over and over. Because view from the top was so spectacular, made even better because we knew the thrill was coming. The trip down gave us such a rush. We didn't complain about the hill being too steep because that was the point of it - the higher the hill, the better the ride. For one, in the Sixties, the Flexible Flyer sled was probably state of the art, lol. And because when we're kids, there's a clearer goal ahead - the fun. Words like "impossible" held no place in our worlds because we challenged everything and turned impossible on its head. I admit, at some point years later, we traded in these heavy runner sleds for the plastic saucer-type. But it wasn't quite the same. Maybe I'd outgrown the whole thing, or thought I did. Not hard to guess how this applies to writing. Just do the work for the prize at the end, and because you love it - ups and downs alike. I put the sled back in the basement until next winter, but I'll try to keep the lesson fresh all year. The best part is, I'll never stop writing. Earlier this week, I read about Cate Masters' launch day jitters and wondered if that was what I had to look forward to. I'm in the final countdown (15 days!!) 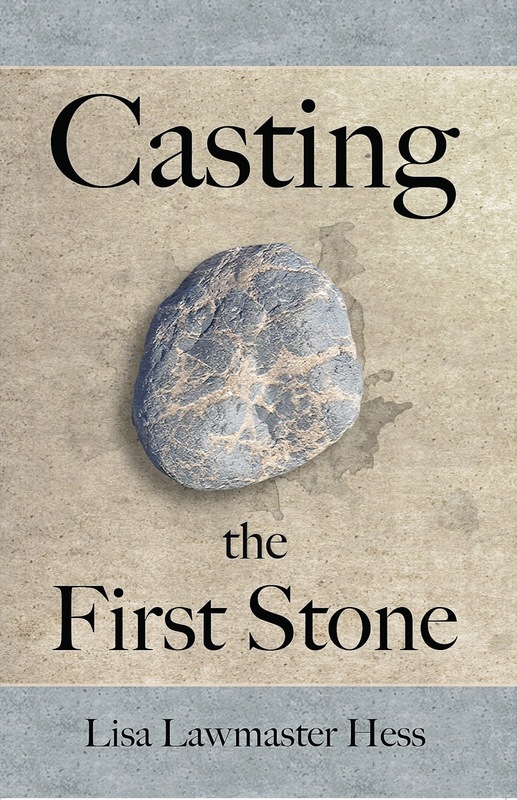 for the launch of my first novel, Casting the First Stone, and I feel as though everything else in my life is simply an obstacle I need to clear before I get back to focusing on this large event that is occupying the center of my universe. A bit self-centered? The thing is, unless an author is famous (and sometimes, even if she is), the bulk of the promoting and cheerleading lands squarely in her lap. So, just in case the writing and editing and proof-reading and cover selection and all the other events that seem to pick up speed as we careen toward launch day aren't enough to make a writer feel as though world events are merely a backdrop, the crush of promotional stuff seals the deal. But I'm having fun. It came as a surprise to me, but there are parts of the promotional process that I enjoy. Writing blogs, for example and finding fun places to have parties and sign books -- places that matter to me for reasons besides the fact that they'll let me bring my book and have a party. The Starbucks where I wrote many chapters. The library I've patronized for over a decade. The restaurant where my family and I have dinner at least once a month. So, as I move toward this milestone that is both personal and professional, I hope you'll join me. Come to my Facebook Book Launch Party on January 27. Read about my characters and upcoming events on my blog. Take a peek at my book on Amazon and see if it's something you might want to read. (While you're there, check out Cate's too). We Susquehanna Writers are a diverse group. While you're here, take a moment to check out our covers or our blogs to see what we have to offer. I think I can safely say we've got something for everyone who likes to read.